At Cascade Oral & Facial Surgery, we specialize in providing advanced surgical procedures to treat a variety of conditions. However, we find that many patients are surprised when their long-time family dentist refers them to our office. What did they do to get banished from the friendly confines of the dentist’s office they’ve known and trusted for so many years? Nothing, of course. When a dentist refers a patient to an oral surgeon it’s because they require a specialized type of treatment that their dentist does not typically provide. 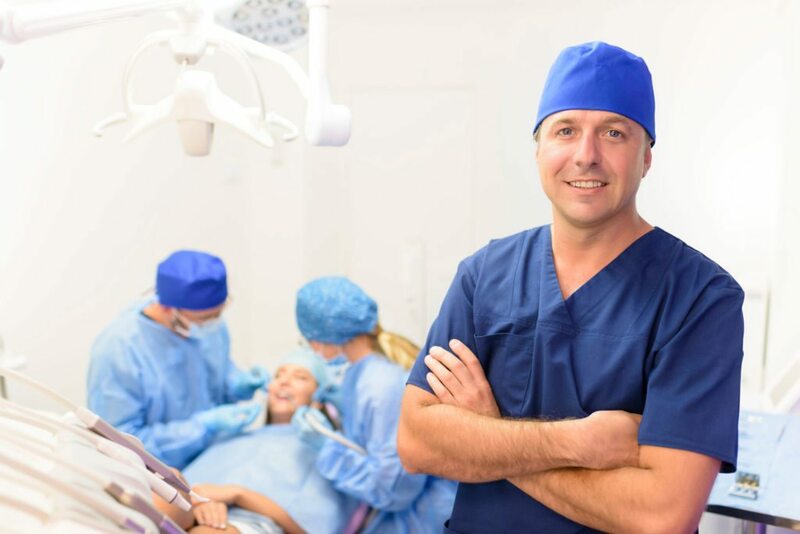 Whether the removal of impacted wisdom teeth, dental implant placement, or a bone graft, some types of dental care need the attention of an oral and maxillofacial surgeon like Dr. Mann. Your family dentist works alongside with an oral and maxillofacial surgeon to ensure that every patient receives the type of individualized care needed to enjoy a healthy, great looking smile. When each of these highly trained professionals provide patients with their own specialized form of care, they combine their training, staff, and talents to provide patients with positive outcomes. When a patient requires oral surgery, a referral from your family dentist to an oral surgeon acts like a natural extension of the services your dentist offers. Oral surgeons like Dr. Mann work closely with general dentists, freely sharing information to ensure you receive the best care possible. Communication between your dentist and our office at Cascade Oral & Facial Surgery is an important part in ensuring your comfort and level of care always remain a top priority. Your family dentist always remains in the loop about the treatment you receive and outcome of your surgery. What Types of Services Does an Oral and Maxillofacial Surgeon Provide? Removal of impacted wisdom teeth. When one or more wisdom teeth need to be removed, typically because of failure to fully emerge from the gum line, your dentist may refer you to an oral surgeon for a tooth extraction. This type of surgical procedure may require opening both gum tissue and the jawbone in order to successfully remove an impacted tooth. Placement of a dental implant. A titanium foundation that is used to support a replacement tooth, a dental implant is placed directly into a patient’s jaw bone. Once the implant is placed and allowed to heal, your family dentist will create and place a tooth colored crown on top of the implant to restore your smile back to health. Bone grafts. Prior to the placement of an implant, some patients need additional structural support added to their jaw bone, which may have lost some mass due to the effect of missing teeth over a long period of time. Dr. Mann can utilize specialized techniques that help to encourage and enable bone regrowth. Jaw surgery. Dr. Mann performs corrective orthognathic (jaw) surgery to correct skeletal irregularities, resulting in the misalignment of a patient’s teeth and jaws. These are just some of the services Dr. Mann can partner with a dentist to provide to patients. So if your dentist refers you to Cascade Oral & Facial Surgery, know that it’s not some kind of punishment for not flossing enough. It’s part of a collaborative effort to ensure that you receive the type of quality care needed to keep a healthy smile on your face, now and into the future. What is Oral & Facial Surgery?